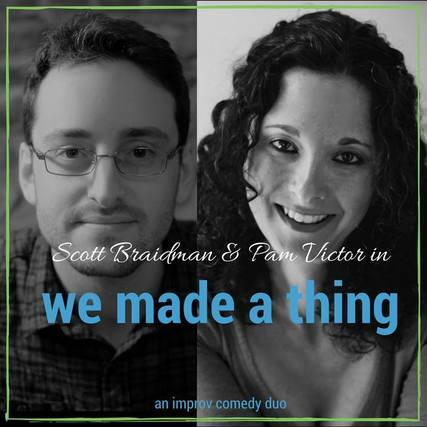 With so many fantastic fully staged productions in the valley, it's easy to forget about all the staged readings. But staged readings are an affordable way to see new work and experience more theatre. Tonight, Smith College kicks off it's spring New Play Reading Series with a work by Lyssandra Norton. The semester will include four subsequent readings as well. Real Live Theatre is also hosting a reading of WHEN LAST WE FLEW at Gateway City Arts this Saturday: see the listing below for more information and tickets. The summer after my freshman year at New York University, I returned to my hometown of Fishers, Indiana. I remember a night that July, driving back to my dad’s house with a car full of Goodwill props and painted lumber after closing Say When Theatre Company's production of Melancholy Play by Sarah Ruhl—my first theatrical success. Say When Theatre Company is a company I founded with my childhood friend for the sole purpose of producing this play we both loved. We cast our best friends, rehearsed in my dad’s basement, built the set in my mom’s garage, partnered with a local historic home to bring arts programming to a venue that was primarily rented for weddings. Spencer is sure he's found the perfect girl, complete with quirky hobbies, an alternative look, and an indie road trip. But does he really know her at all? Or is he just seeing her in pieces? February 15, 16, 17 at 7:30 p.m.
Feb. 17 at 2 p.m. Eyes looking forward, feet still, knees straight ahead — that's how we take in most theater performances. Not so with UMass Theater's Dream Play. 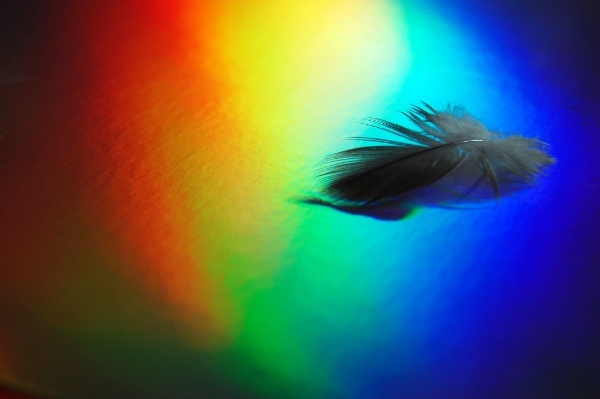 In director Mary Corinne Miller’s innovative vision for August Strindberg’s drama, the internal psyche of dreams comes to life in a site-specific, experiential/immersive play, the first of its kind to be part of the UMass mainstage season. 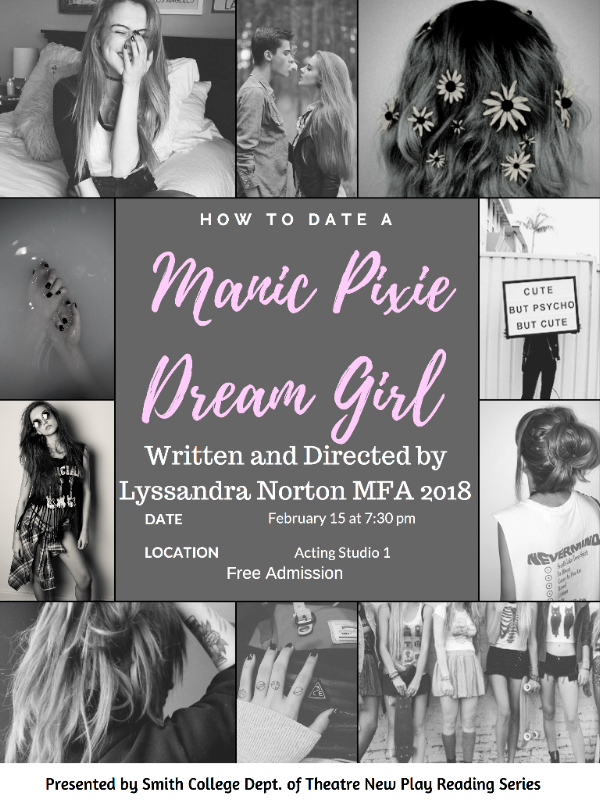 Audience members are invited to mingle with performers as they forge their own path through this unique take on a classic, running Feb. 7-17 on the fourth floor Arts Bridge in the UMass Fine Arts Center. Written in 1901 as a counter strike on the era of realism, Dream Play challenged people to reconsider how they experienced time and space. In Strindberg’s original production, Dream Play followed Agnes, a daughter of the gods, on her quest to understand humanity. In her travels, she met countless individuals and couples whose suffering was great. Miller’s immersive adaptation of this play invites the audience to step into the role of Agnes. Like her, they'll venture through the story, meeting the other characters Agnes met, pondering what their experiences mean. They will encounter not only the hardships of human existence but the joys of life; they will get the opportunity to discover for themselves what it means to be human. A team of fourteen actors will guide audience members from the Curtain Theater up to the fourth floor Arts Bridge in the Fine Arts Center, where a dream-world will unfold throughout ten different rooms. Audience members can choose to stay in one room, follow a specific actor on their journey through the space, or forge their own pathway through the Arts Bridge. 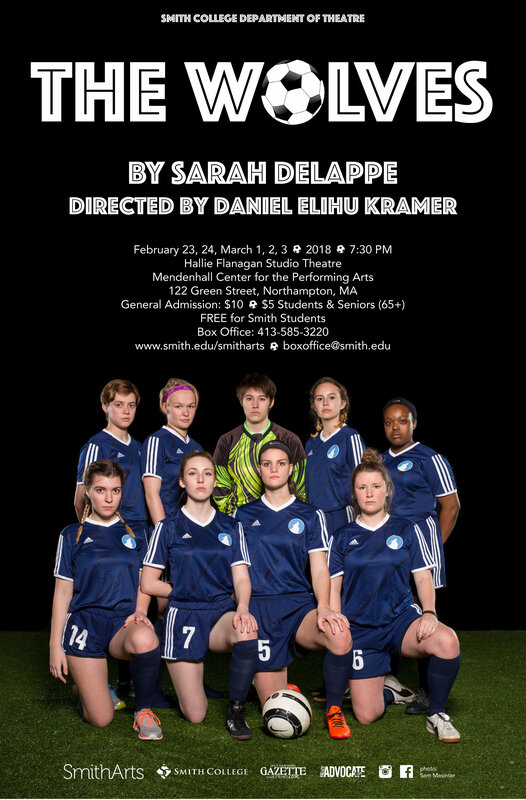 Not only will this production of Dream Play be the first immersive, experiential performance done as a mainstage production at UMass Theater, it will also be one of the first to experiment with engaging all five senses throughout the performance. Audience members will not be required to participate in the performance but may be offered objects to hold by actors, invited to listen through telephones, experience smells in the separate rooms, and even taste food and drink while they move through the spaces. After the performance concludes, audience members are invited to join members of the production in the Curtain Theater to mingle, enjoy a beverage, and discuss the performance. Buy your tickets now and join us inside a gorgeous, surreal world! 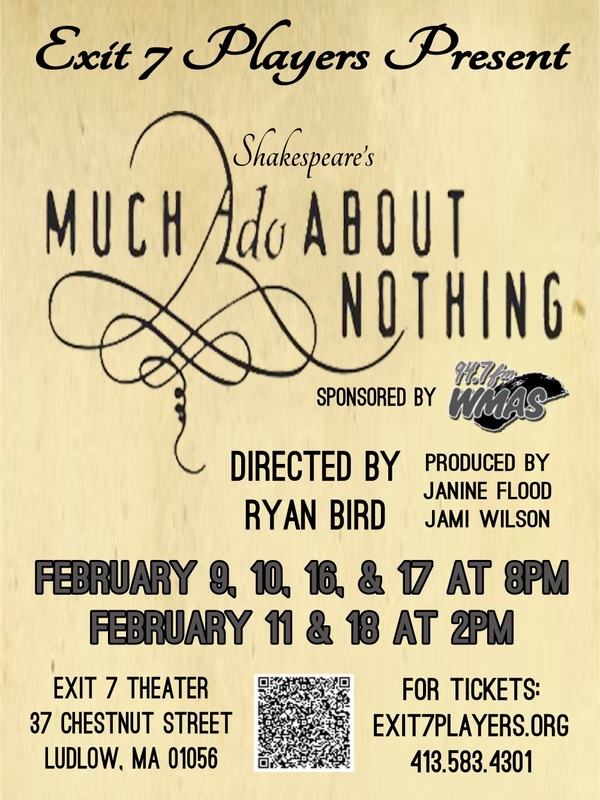 The Exit 7 Players are proud to announce Its winter production, William Shakespeare’s Much Ado About Nothing. Show dates are February 9,10, 16, and 17 at 8pm and February 11 and 18 at 2pm. The Bard’s famous comedic romp known for the brilliant war of words between the feisty Beatrice and the staunch bachelor Benedick, Much Ado About Nothing plays out amidst the brittle high spirits of a post-war house party. When Don Pedro Prince of Aragon visits Leonato, Duke of Messina, love antics ensue. War hero Claudio falls in love with Leonato’s daughter, Hero and their marriage is agreed upon. While marriage preparations ensue, Don Pedro schemes up a plan to make old flames and longtime bantering partners Benedick and Beatrice fall in love. This charming exploration of love and marriage, friendship and honor, features some of Shakespeare’s wittiest and most poignant dialogue. The show is directed by Ryan Bird. Ticket prices are $22 (preferred), $20 (adult) and $18 (seniors over 62/children 12 and under), and are available through the Exit 7 Theater website at www.exit7players.org or via phone at (413) 583-4301. Discounted group tickets are also available by calling the box office. Dramatic readings performed by professional local actors that bring short stories to life. This performance is free and open to all. Monthly family-friendly improv comedy show, best for 5-12 year olds and their adults. Every show is all new and created on the spot based on your suggestions. A high-energy interactive improv comedy show that is funny for the whole family. $5/child, $10/adult, 4 and under/free (attendees do NOT have to pay museum admission; however discounted show tickets are available for museum members). RLT presents a staged reading of the funny and powerful script When Last We Flew by playwright Harrison David Rivers. This coming of age story follows teens Paul, Ian, and Natalie (and their families) as they take ownership of their identities as Black, gay, and activists. Co-directed by Ellen Morbyrne & Trenda Loftin. The reading is taking place at Gateway City Arts and their fabulous Bistro will be open for food and drinks before and after the performance. A perfect all-in-one night out! Check out their full menu. Mature content (sexual themes and strong language). Promotional image art by Clare Black. We Made a Thing, a tiny audience show: Super casual, weekly improvised theater show every Monday at 9pm at 67 Conz Street, Northampton. Free. Left quad. Right quad. Lunge. A girls indoor soccer team warms up. From the safety of their suburban stretch circle, the team navigates big questions and wages tiny battles with all the vim and vigor of a pack of adolescent warriors. A portrait of life, liberty, and the pursuit of happiness for nine American girls who just want to score some goals. Tickets $10 General, $5 Students/Seniors, FREE for Smith students. Purchase tickets online or by calling 413-585-3220. CitySpace Inc. seeks a driven and proactive Capital Campaign Consultant responsible for a fundraising effort to reconstruct and renovate the 2nd floor of the historic Old Town Hall. Renovations will include making the 2nd floor accessible to the public and developing a public gathering and performance space. The Capital Campaign Consultant will be responsible for overseeing all aspects of the CitySpace capital campaign. The consultant will work in partnership with the CitySpace Board of Directors and a Capital Campaign Committee to carry out a fundraising plan targeting individuals, corporations, foundations and government agencies to support this initiative. The Capital Campaign Consultant will coordinate a $2.5 million fundraising effort as part of anticipated $5 million campaign.
" 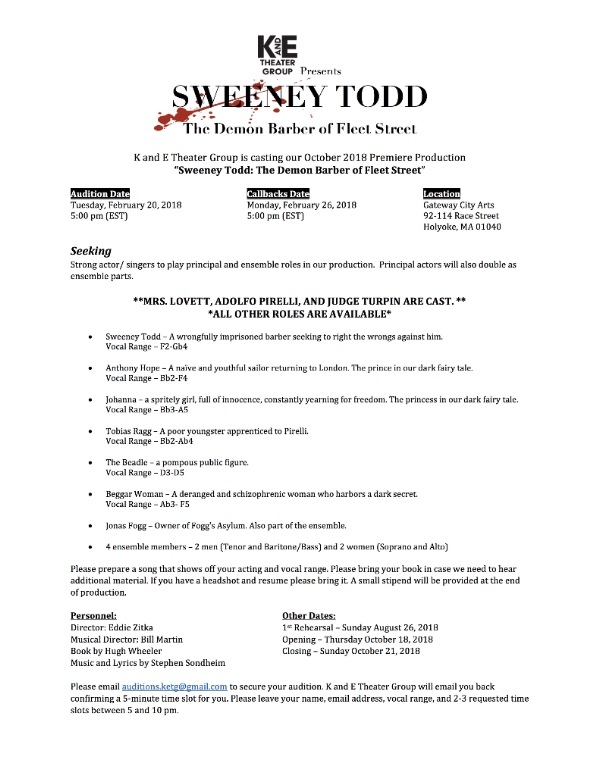 Sweeney Todd the Demon Barber of Fleet Street". 5-10pm. Both auditions and callbacks wil take place at Gateway City Arts. Please email auditions.ketg@gmail.com to secure an audition slot. Please include in your email 3 times that you request for a time slot and someone will answer confirming your slot. Go on a creative adventure each week with your child as you move your bodies and stretch your imaginations. Children will gain physical awareness and hone social skills as they explore the dynamics of movement and rhythm. The class is designed to give caregivers the opportunity to connect with their children in a joyful and playful environment and take home creative tools to incorporate into everyday life. A variety of music, imaginative props, and stories will be used to create a stimulating and fun creative movement/drama class. Eggtooth Productions offers TWO different two week sessions of summer theater or music for children ages 8-13. This program allows children to have their hands on their very own instrument and become part of an ensemble. Participants are taken on a journey from percussion basics into complex sound techniques for a truly magnificent music appreciation experience. Learn about stage play and combat, comic bits, delightful language and the joy that play can bring all while relishing the language of the Bard. Children create their own devised production that will be presented at the end of the session! The cost is $590 with a limit of 15 children in each section. A check may be made to: Eggtooth Productions 102 Highland Ave., Greenfield, MA 01301. Founded in 1922, Eaglebrook School is located on 750 acres on the Pocumtuck Ridge in Deerfield, MA just off Routes 5 & 10. 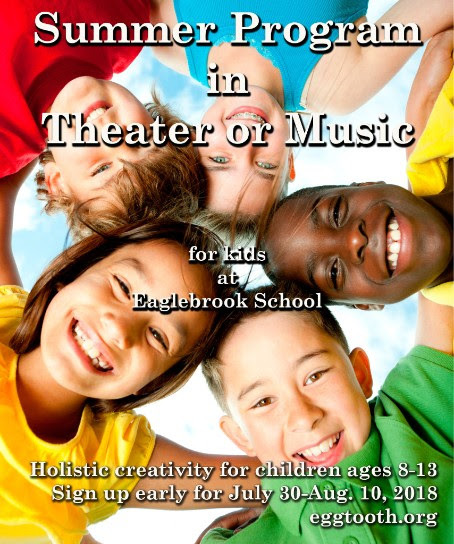 To learn more about Eaglebrook School or for directions visit: eaglebrook.org Camp runs 9 AM to 3 PM with mornings devoted to creation and rehearsal. Lunch will be provided in the beautiful Gibbs Dining Hall. Activities including swimming in the Schwab Pool, playing on the fields, and more.